Transporting priceless art and other high-end pieces can be complicated. 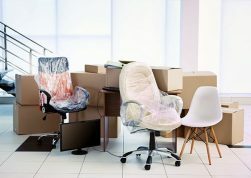 Many moving companies in the Dallas area won’t handle these items, or if they do, they only offer “move at your own risk” guarantees. How can you get the fine art moving services you need without doing these logical gymnastics? Hire a company that knows how to handle fine art moves. Of course, there may be some hesitation on your part. After all, you’re trusting strangers to properly handle and safely transport your most precious items. Whether your artwork is irreplaceable or just too valuable to trust to a regular mover, you need one with the kind of experience that will give you peace of mind. While it’s called white glove service, well-trained art handlers today don’t actually use white gloves anymore. The best choice for protecting the art of any kind and ensuring safe handling are butyl nitrate gloves. All art should be properly handled and packed before, during and after transit. 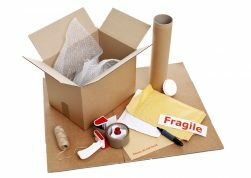 Make sure that whoever you partner with for your fine art move provides ample packing materials and knows how to properly utilize them. Some packaging materials react chemically in a negative way with some types of artistic medium. Inquire about your provider’s knowledge of these reactions before committing to service. Many art movers will provide one or more staff members to ride in a vehicle cabin alongside your art piece to prevent damage. I this is available – and legal, in your area – then choose this service for even greater safety. Ready to get your move underway? For those in the Dallas area, there is no finer choice than Move Star. This company is owned and operated by off-duty firemen, some of the most well-trained, highly-skilled and physically capable movers you’ll find in North Texas. These professionals have the experience and expertise needed to provide so-called white glove service – all at prices that seem more fitting of garden gloves! Contact Move Start today for more information and get your move on!